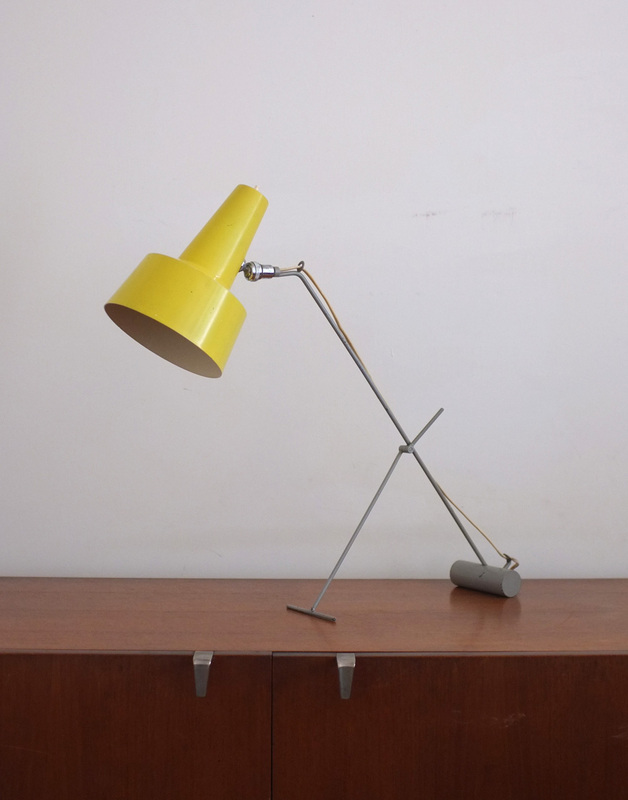 A very special table/desk lamp designed in the 1950s by Bernard Schottlander. 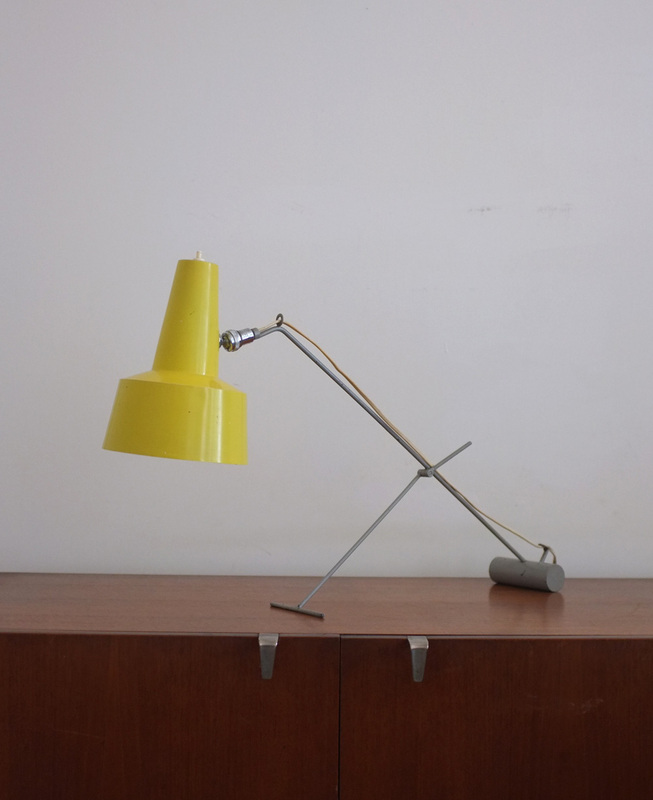 Yellow metal shade on grey painted frame with weighted base. 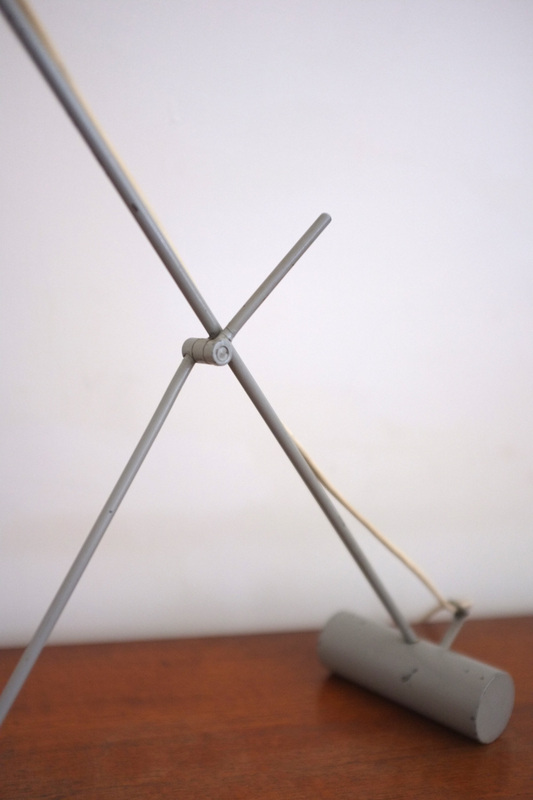 The position of the lamp is adjustable with a small lever to lock it in place. In good original condition with some minor wear to the frame and shade. 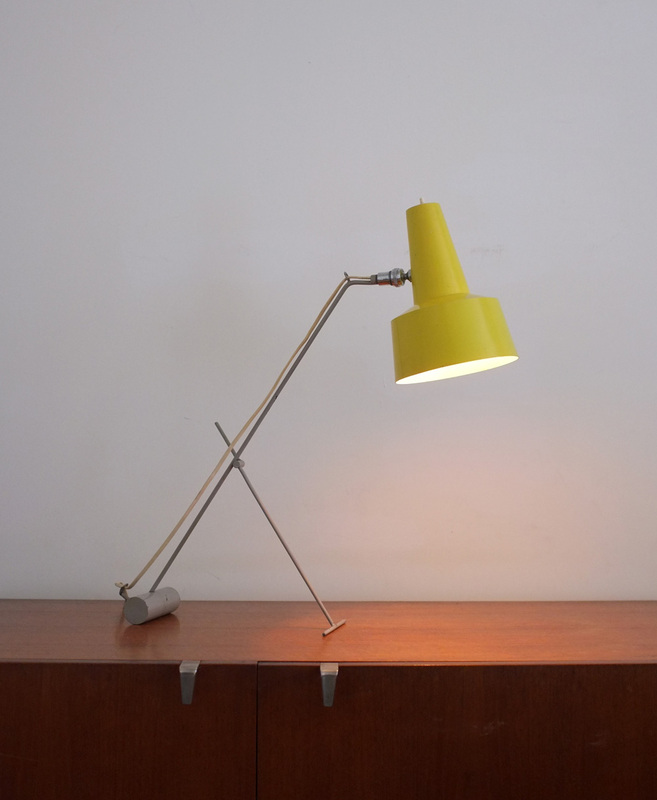 German born Schottlander is best known as a sculptor, but in the 1950s his design studio in London produced a series of lamps that proved very popular among post-war architects and the Council of Industrial Design. 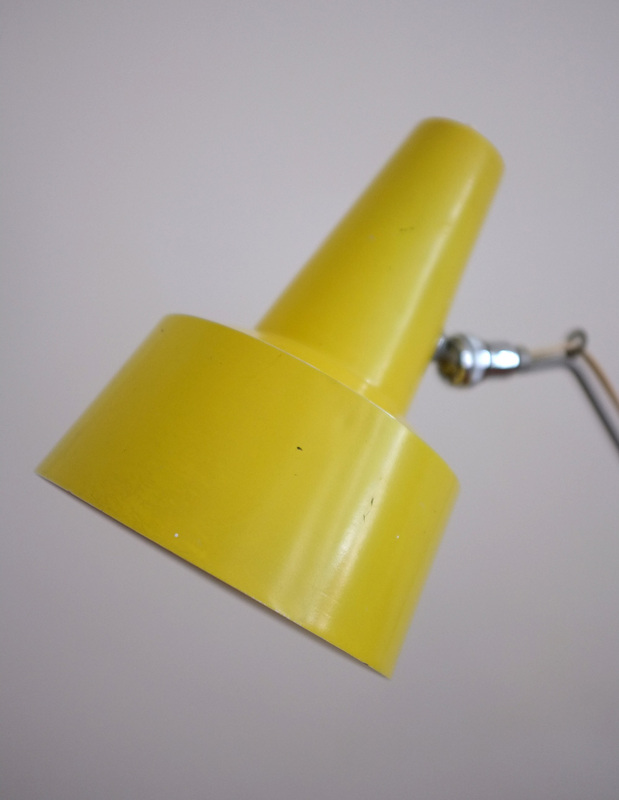 The lamps were all handmade and of strictly limited editions.